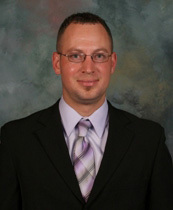 Chad Wolfe’s career at Finley Engineering’s Lamar office began in the Energy Division in March 2007. During his career, he has moved from a Designer to Senior Project Designer/Representative, to Project Manager, to his current position as Operations Manager for the Lamar Broadband Division. Conclusively, Wolfe has staked, designed or supervised over 1,000 miles of distribution line. He demonstrates the proven ability to coordinate and manage projects while establishing and maintaining budgets both small and large. Mr. Wolfe brings clients an established track record of proven results and expertise. You can contact him by calling the Lamar office at 417-682-5531.